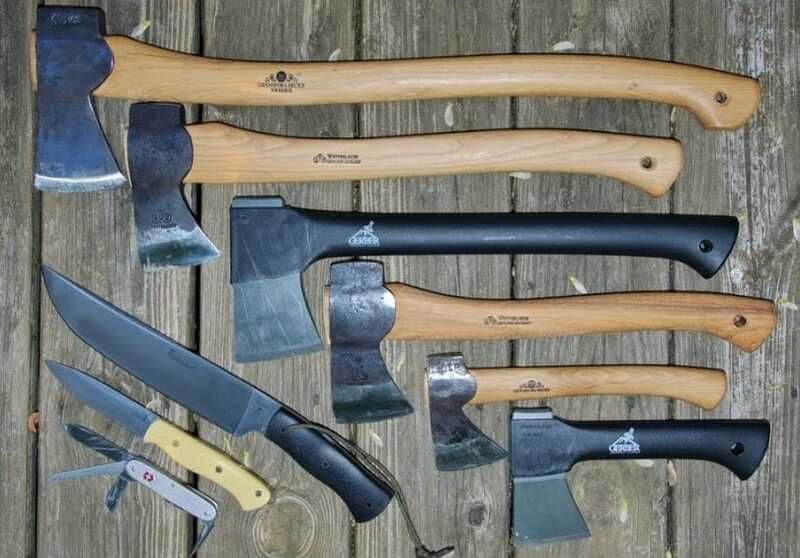 A good axe is definitely the right addition when it comes both to you outdoor and survival equipment. Not only it comes in handy in emergencies, it might even double its use as another tool sometimes, don’t you think? However, picking the best survival axe isn’t an easy task. Usually, a decent fit would be an axe that’s sharp enough as to tackle more demanding tasks but light enough so you can carry it around and use it in emergencies. However, with most brands selling all sorts of axes – ranging from the more traditional type all the way to a more modern design – choosing the right one for your needs isn’t easy. Since the simple task of picking a simple tool has become a complex hunt, we’ve taken the time to explain some of the more basic features that we think may matter the most when it comes to buying a new axe. On top of that, we’ve included the reviews of the top-notch product on the market – follow up to learn more. 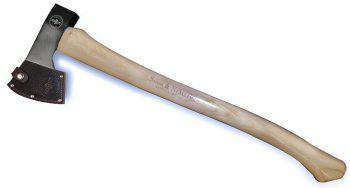 Gransfors Bruk Wildlife Hatchet 1.3 lb. Cold Steel Trail Boss Hickory Handle 2.7 lb. 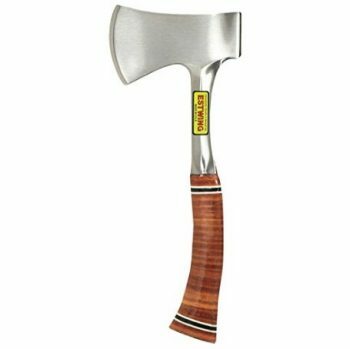 Estwing E24A Sportsman Axe 1.9 lb. Here are some of the features we believe may matter on your next purchase. No matter where and when you’ll be using the axe, one thing’s for sure – you need an axe with a good grip. Ideally, apart from being able to handle it well, you’ll want your axe to stick on your hand like a natural extension, so as not to lose easily when waving it under pressure. Of course, if you’re a professionally equipped wilderness enthusiast, you probably also have a pair of special waterproof gloves designed for this type of conditions that can ensure a perfect grip – in which case you can do very well with any type of axe handle. Otherwise, it may be wise to at least consider if the handle is made out of rubber. Don’t forget to consider the imprinted pattern, as that allows for better fit. In this context, a sharp, efficient axe would make a world of a difference – it may save your life in times of need! Apart from being sharp, check to see what materials the blade is made from, as different materials last differently. Most blades are made either from carbon steel, stainless steel or high carbon stainless steel. The material of the blade may affect several aspects of it, such as the longevity, durability, corrosion resistance, wear resistance, and so on. The ease of use is another key point – you won’t get much use if your axe performs badly or has a poor design. A good structure design includes the ideal balance between the tail and the head – you should be able to swing freely without feeling like you might drop the axe. If it’s the first time you hold an axe in your hands you might not even notice the difference. But once you’ve handled it and chopped only a few chunks, the difference would soon become obvious. Some axes are extremely user-friendly – they’re small but compact and serve their purpose just right. If you’re a beginner, you might want to get yourself one like that instead of going for larger axes that are more difficult to handle. The durability of the axe matters – you’ll want to get more than a couple of uses out of your axe. Often, the durability of the axe is directly related to the material. Check to see what materials are used for the tail, the head, and the blade. Look at the way the parts are attached to one another, whether they’re well fixed – you want your axe to be sturdy enough so you’d be able to use it. The tail shouldn’t be too fragile and easily breakable and on top of that, the quality of the metal head and the blade shouldn’t chip easily when bumped into something hard piece of wood. Traditional wood tailed axes are perfect when you’re the conscious tool preserver that checks the overall condition of its instrument regularly and repairs or replaces its damaged parts. Otherwise, a version that ensures use and time resistance through its one single-element structure would make a better option. Size and weight matter if you plan on carrying your blade with you to camping and hiking trips as well – you wouldn’t want to haul something heavier than a couple of pounds as it’d be extremely impractical. On top of that, the size and weight might affect the performance of the axe – heavier axes might prove to be better at chopping larger objects though lighter ones may be a bit more appropriate for beginners. 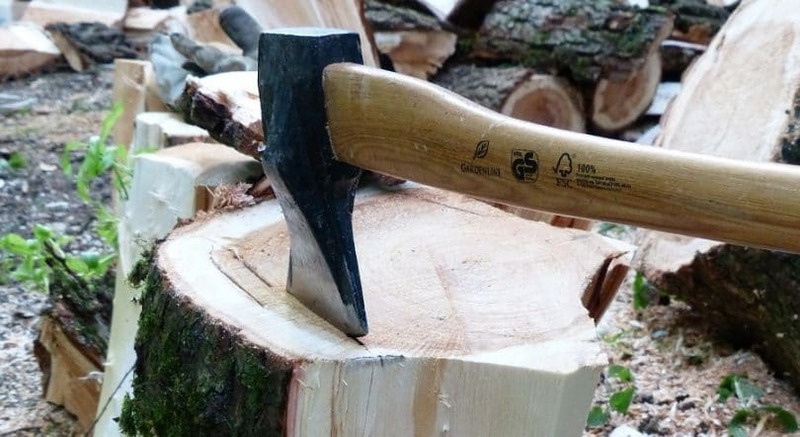 However, if you’re looking to get a survival axe that will mostly stay put in your survival kit, then the size and weight might not be as important – just pick one that’s most suitable for emergencies! We hope that by now you’ve learned a few things about the aspects you find important. Now it’s time to look at the products we’ve liked best. 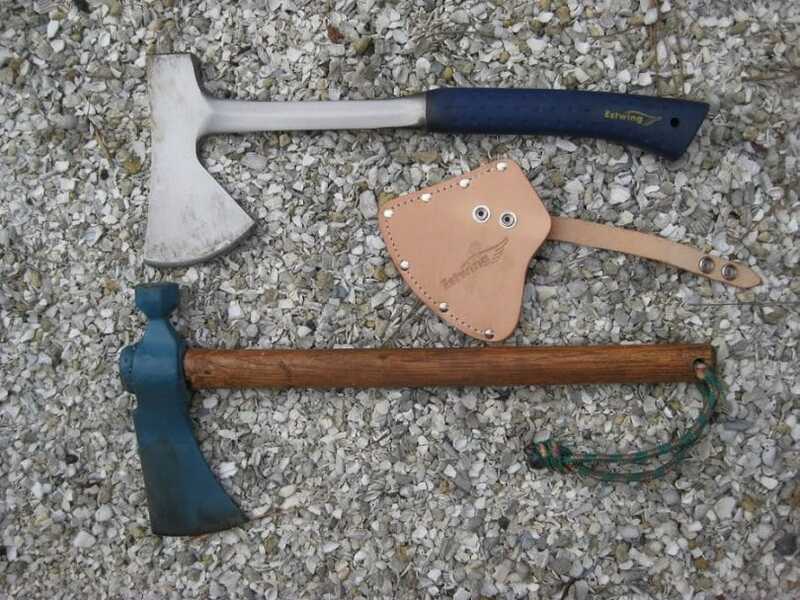 Here are some of the top-notch survival axes out there. Description: The Kershaw Camp Ax is very practical due to the fact that it’s lightweight, which makes it a perfect tool to take with when going camping! Since it’s rather compact, it should fit perfectly in your backpack. On top of that, it should be fairly easy to handle no matter whether you need to chop up a few small branches to set the fire or chop down a larger fruit. The handle is made of good gripping non-slip Krayton and it has an over-all well balance of its elements, making it a good choice for all novice users out there. Given its small weight, it could be harder to use it for splitting big chunks or cutting thicker branches. 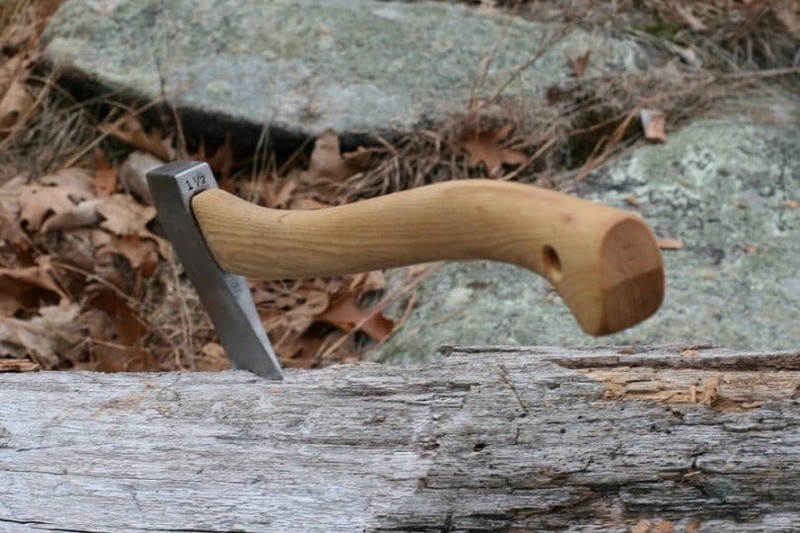 But even so, it has a solid structure and does its job good enough, that you can rely on this hatchet for more complex work, such as building a shelter. As long as you trust your overall strength that may be necessary to counter-balance the low-level force of the tool, you’re good to go. The actual handle design is so practical that it should remain comfortable even after hours of use. Being drop forged ensures a very sturdy structure with perfectly symmetrical aligned components, providing also high endurance on rough maneuvering and durability in time for multiple uses. However, in order to get the most out of it, you’ll need to sharpen the blade from time to time. The protective sheath is of plastic, it covers the hatchet’s top and blade so it secures for protection, but it’s not for heavy use. As for appearance, this axe is the classical, simple instrument that honestly reinstates its title designation – a good-old camp ax. Extremely light and compact – ideal for camping! Related: The Lansky Puck might be just the thing you’re lacking in your survival kit. Coming at more than an affordable price, it’s a dual grit sharpener that can be used everywhere, both outside and inside. The puck works well with all types of axes, blades, and machetes and its use are so easy, both experienced and novice users should have no trouble with it! Description: The Granfors Bruck Wildlife Hatchet is assuring users of a multifunctional axe experience, while at the same time, being small and compact enough to carry it in your backpack – or even hang it on your belt! The axe is intended for varied choruses such as chopping and splitting but it’s sharp and strong enough to cut thicker branches. 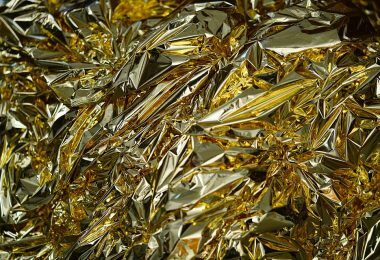 The technology of its construction and part catchment has evolved enough to ensure reliability and sturdiness while discarding the unnecessary extra metal. The portability could be improved by lowering the weight and maybe introducing a better design but that’s still only a slight disadvantage. However, even though it’s slightly heavier, its 1-pound head is very well balanced. The smooth tail design makes handling this hatchet a very easy-to-do job even for a novice. If you decide to get this axe, do pay attention to the manufacturer alerts – the blade is incredibly sharp and you might harm yourself. However, it’s still a great tool for general use around camp that should come with an impressive performance! The item comes with a traditional leather sheath that provides extensive protection and, compared with other included covers, this one also ensures extensive resistance in time and rough handling habits. 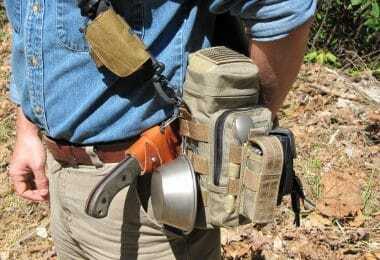 All in all, this axe promises to be the all-in-one survival tool that each wilderness kit should contain. Related: The Norton Sharpening Stone Oil should make sure your sharpening stones are always kept in great shape. The oil is the highly effective lubricant that should prove suitable for a variety of tasks. On top of that, the can is so compact, it can fit into different Norton portable sharpening systems, which means you can use it even when you’re on the go. 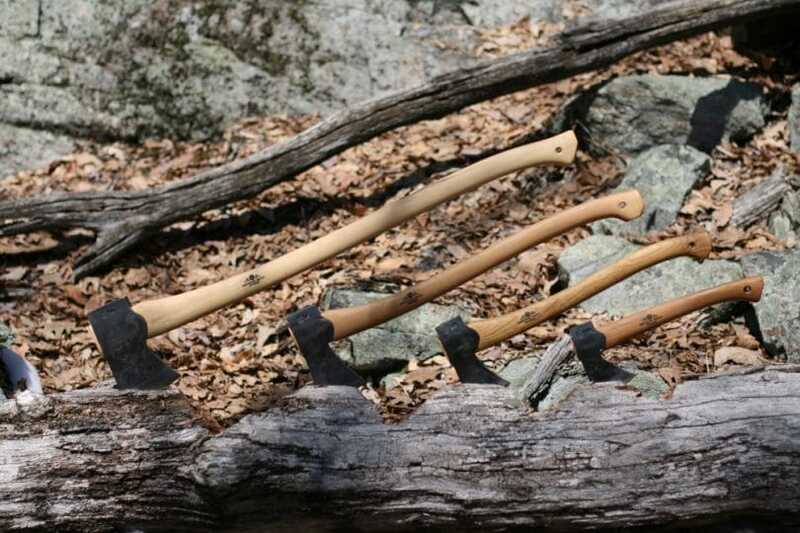 Description: The Cold Steel Trail Boss Hickory Handle is recommended by the manufacturer as a versatile instrument, suitable for various situations – you could easily use it to chop down firewood or for more difficult tasks such as clearing trails. All of that implies that this is an axe with a very sharp blade and extremely easy to use when being handled in a wide swing-type motion. The fact that the European style top is equipped with a 4 inches blade on a 4.5-inch cutting edge should ensure precision and force, enough to cut through thick logs. However, you may want to be careful if using it for more precision work. The tail is made of American Hickory – it follows a simple, basic outline that’s mostly aimed towards the more experienced users. If you decide to go for this axe, do note that you should be accustomed to holding an axe steady without the need for an extra rubber grip. The tail is long enough though to provide an easy two-hand handling of the tool, thus facilitating more forceful hits and more precision. Even though it isn’t the heaviest axe out there, it’s basic design may make it impractical for carrying around. But if you aren’t bothered by the simplistic design, this one should work well for you. Related: The Wetterlings Grinding Stone is so convenient, that it should fit in anyone’s hand! Apart from having a rubber sheath that allows a better grip, you can easily choose between fine and coarse grits. On top of that, the stone can be used either dry or with water – it should work great both ways! 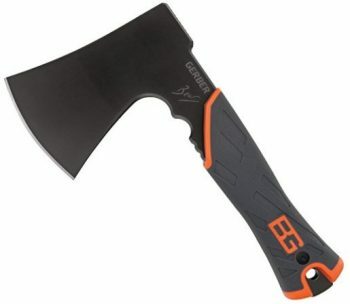 Description: The body of Gerber Bear Grylls Survival Axe has no welts whatsoever – each part is perfectly flowing from the other one. The tail and the head balance and form an integral unity, while its weight and size make it user-friendly and easy to carry on – you can even attach it to your belt! The hatchet comes with a top-notch construction – the body is made of sturdy materials that are used to reinforce the structure even more. That should provide enough confidence to both experienced users and novices alike. Being intended for survival purposes, this hatchet might as well be one of the best ones out there. But don’t let its compact size fool you – this axe is well capable of chopping through thick wood as well thanks to its razor sharp blade. Another good detail is the crosshatched pattern added on the back of the hatchet’s head. With it, the axe doubles as a hammering tool as well. This exquisite blade is protected by a mildew cover sheath that is military-grade certified – feel free to carry your axe even in bad weather conditions, as the sheath should offer protection against that as well. The product comes with an included Bear Grills guide about the “Priorities of survival”, a handy book about surviving emergencies and dangerous situations. Related: The SOG Entrenching Tool might be just the thing you need for your next trip – it’s a folding shovel that you can use for a variety of tasks on camp! Since it’s extremely lightweight, you might not even notice you have it with you – the carrying case of the shovel comes with gear loops that can be attached to your backpack! Description: The Estwing E24A Sportsman Axe comes with an elegant classical style, which can also be seen in the design of the leather handle. The natural material allows for a good grip and a comfortable hand feel, suitable for many hours of intense work, ensuring a non-slip security in cases of wet hands. The grip is sanded and lacquered to achieve an exquisite look like that. 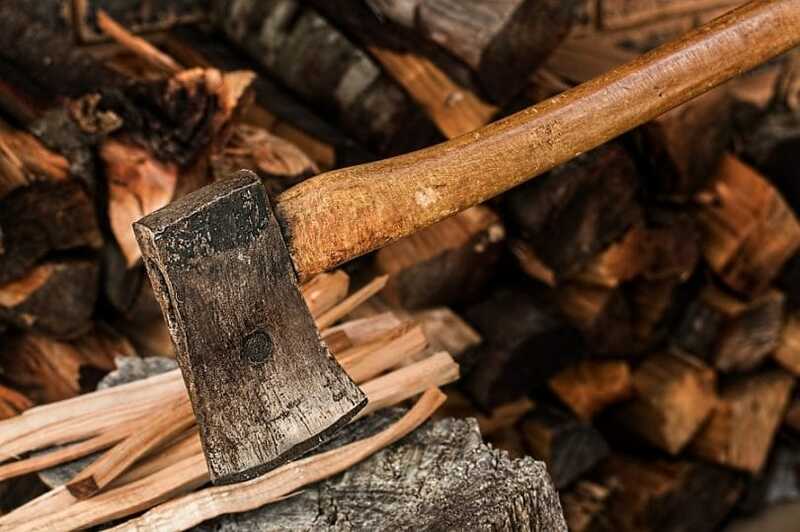 However, do note that the axe isn’t water-resistant – the axe and especially the leather grip should be kept safe of humidity in order to prevent damage. The steel used is not stainless, but still, it should be able to resist corrosion to some degree. Drop-forging the entire structure, provides durability in terms of any utilization conditions and also time resistance – this is the kind of tool that would never lose its head, won’t bend or chip. 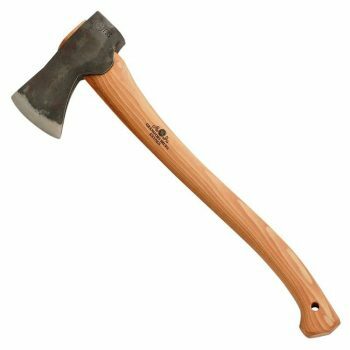 Thea head and handle of this particular axe are narrower than the standard hatchet on the market and this feature allows the users to cut deeper into the wood. It’s a good survival option, as it does the whole package of wood cutting jobs – it can even be used as a machete, clearing roads and trails. Moreover, it has the dually functional head, with its back apt to be used as a hammer. Provided that it’s also light so easy to carry on wherever you go and also well-balanced, thus easy to handle, this type of axe is recommendable for first-time, low users alike. Related: The Potable Aqua Water Tablets are a must-have for every survivalist – they promise to make questionable water bacteriologically suitable for drinking. 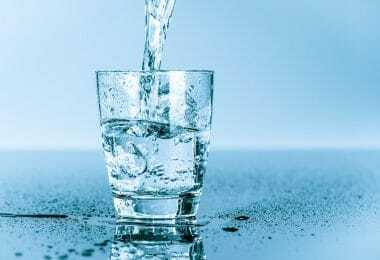 Their use is extremely easy – just pop a tablet into suspicious water and get yourself clean water in only 30 minutes. One bottle comes with 50 tablets, which should be enough for you to treat 25 quarts of water. Description: The Snow and Nealley Hudson Bay Axe is more of a typical, traditional axe but that’s certainly not a big disadvantage in this case – it could still prove to be a valuable tool for your survival kit. The head and the blade are forged from grain steel and additionally hand-crafted to get that old-school appearance while not compromising on the performance at the same time. Considering it comes with a basic design, it’s mostly meant towards users who’ve handled tools like this before. However, inexperienced users could struggle with the original wooden handle – there isn’t much to it that makes for a better gripped. If you’re handling an axe for the first time or you happen to use it while your hands are wet/sweaty, you should be more careful. All in all, this is a tool made more for experienced users who prefer a rougher look while not compromising on the performance at the same time. While it isn’t the smallest nor the lightest axe out there, it should be a decent tool to add to your outdoor equipment for use around the house. Related: If you’re looking for a fire starter that will be able to give you as much as 12,000 strikes, then the Uberleben Zunden Fire Starter may be the right thing for you. Apart from being super-light and small, the fire starter should prove to be one of the most reliable ones on the market. On top of that, you’ll also get a few other practical tools, such as a map scale, hex wrench and a bottle opener. 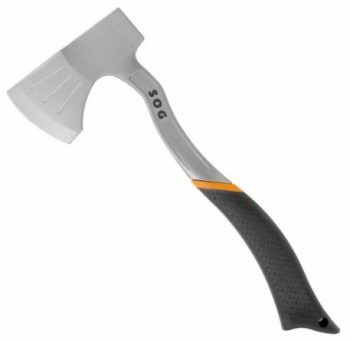 Description: The SOG BadAxe Base Camp Axe may as well be a multifunctional camping tool. It presents a simple elegant design that’s been intelligently projected to ensure endurance as well as maneuverability. Given its one-piece steel forged structure, it’s one axe that you can try to destroy, bend or make it lose its good balance but still wouldn’t be able to do so. Since the tail is slightly twisted, it should make it easier when you’re splitting logs or – you should be able to strike more precisely with it as well. The back of the head can be used as a hammer as well. On top of that, the axe comes a rubber added on the handle, making it safe for use in bad weather conditions. The overall design of the axe makes it a good enough tool both for experienced users and for novices alike. On top of that, the blade should be extremely resistant to corrosion – you won’t have trouble using it even after it stayed untouched for years. However, do note that the curve on the tail might bother some users, as it’s not very practical for carrying around. Related: The SOG Folding Saw is a must-have tool for campers and hikers – since it’s ultra light, you should be able to take it with you on your trips. The teeth of the saw should work well both on hardwood and greenwood, allowing you to get the most out of it. Moreover, the saw comes with a limited lifetime warranty and a few other additional accessories for even more convenient use. With all of that being said, we hope that by now, you’ve realized what makes a good survival axe and whether your next pick has what it takes for you. As long as you’re able to assess your needs and determine when you’ll need to use your axe the most, you should be able to make a good decision. Remember – a tool worth your time won’t let you down in times of need and you should be able to rely on your axe if you’re adding it up to your survival kit. Don’t forget to occasionally check the sharpness of the blade to make sure it’s in proper working condition! Are there any survival axes you’ve found to be just super handy but we’ve missed out of our review? If that’s so, feel free to share with us in the comment area – we’d love to hear about products you think work best!